One aspect that makes Sakurako’s Investigation slightly more enticing than other mystery titles is that it places a very human face on the subject of death as it either deals with those left behind or those contemplating their own morality. 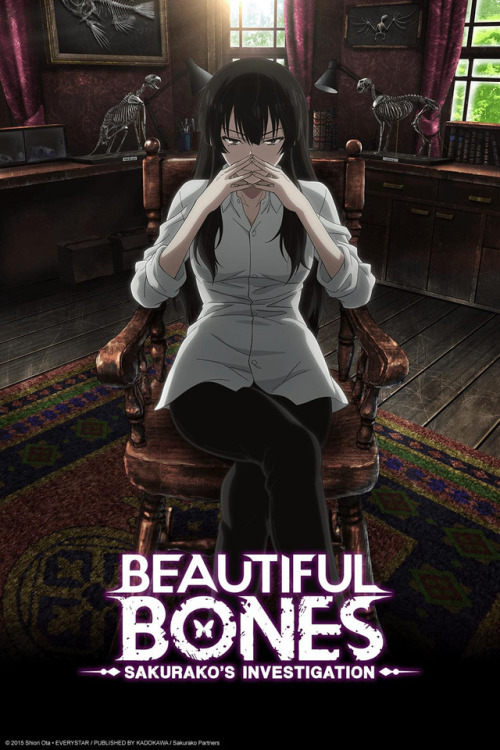 And while Sakurako and her assistant Shotaro stumble upon more corpses and people on the way to tragic ends than a helpful plot device should allow (or any viewer could find believable), it is the act of breaking these individuals free from the shackles of the past in order to move forward into the future a very appreciable feature and something few shows of this nature tend to tackle. Of course, I can also appreciate Sakurako being far from philanthropic in her pursuits – more eager to provide her expertise if it means she can have some hands-on time with the remains. However, where that type of behavior just informs the viewers to who Sakurako is as a character, it isn’t until she provides her explanation and offering words of closure to those around, not only does it add more substance to the subject of dying and death, but also adds another layer to her personality that is rarely seen – other than the indifferent and sometimes, misunderstood person she is. Of course, where she can be brash and frighteningly obsessive over work, Shotaro helps keeps her in check and adds to her humanity – a detail that does get touched upon latter in the series. If anything, Sakurako provides death, the human experience, and what comes of it with a more elusive and beautiful lens rather the macabre and grim one it often receives. Besides handling the subject matter in a very unique way for its genre, I do also like how the series does tackle a few of its story arcs. Speaking from a purely technical standpoint of how mystery fiction is usually constructed, everything from the introduction to conclusion is just about as conventional and cliché as it gets. Yet when looking at it from how the narrative flows, the individual episodes are very succinct and to the point making them feel brief, but leaving the viewer with the gist of things. It’s disappointing for those that want to play detective as things wrap up in the blink of an eye, however, as a personal preference, I rather cut to the chase than spend a 24 minute episode being lead through the writer’s process of how anything I watched makes sense. Sadly, if you want a series that uses good olde fashion logic to solve the cases…you won’t find it here. With most of the episodes having wish-washy solutions or really obvious ones that would probably elude the viewers grasp, I am glad that the series doesn’t go to great lengths to make everything too elaborate rather than giving the viewer the chance to enjoy the cases for what they are. While I probably would of liked the various scenarios to be more intricate and varied, the overall plot really doesn’t allow for it and admittedly, probably turn more eyes away than to it. Being the second project Troyca lends it animation prowess to (the first being Aldnoah Zero), the visual style for the series is very astonishing in the best way possible. Oddly enough, for a title that deals with something as somber and stern as death, the show is very vibrant and pristine when it comes to the artwork – almost having an ethereal and ephemeral quality to it. However, given the subject matter involved, the choice in aesthetics would make a great deal of sense and not just off the cuff. When comparing it to Aldnoah Zero, it does lack a lot of detail when it comes to the backgrounds and set pieces, but easily makes up for it elsewhere while character designs and the like still fits with the style. Animation is just as good, containing a lot of flourishes (such as Sakurako’s pseudo ridiculous magical girl/investigation transformation) and intricately crafted details into areas like the facial expressions that give the characters a bit more of a vivacity. Fairly fond of the music used for Trinity Seven and Witch Craft Works, Technoboys Pulcraft Green-Fund (what a mouthful) does a wonderful job on the soundtrack, especially the ending theme. While this soundtrack falls slightly behind the aforementioned in both variety and scope, the tracks still hit all the highs and lows that they need to. The main motif entitled Sakurako’s Investigation would have to be my favorite for its upbeat and jazzy infused approach. 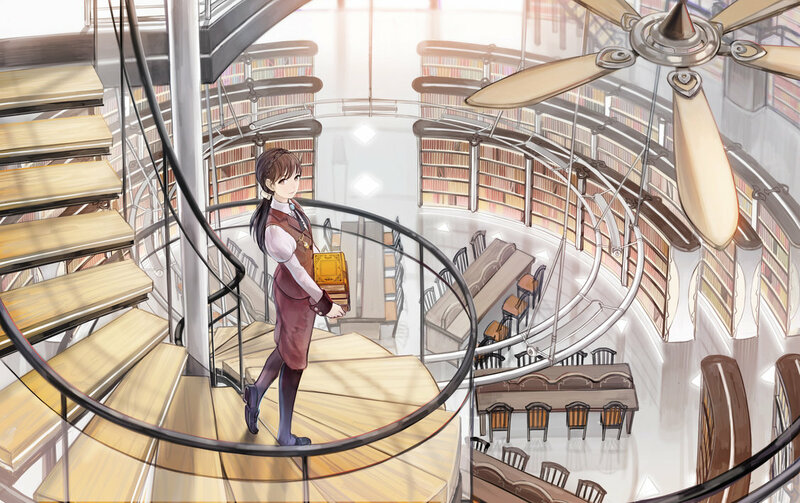 As 2015 ended in a whimper for the mystery genre with titles like Ranpo Kitan to shorts like Tantei Team KZ Jiken Note offering very little consolation, Beautiful Bones: Sakurako’s Investigation does at least fill the spot more admirably than any other. And despite ending on a cryptic, anticlimactic note (due to the novel no doubt), I can’t say that I am disappointed with the overall finished product, but by no means feel that it is free of issues. Doing many things I wish so many other mystery titles would do like give a little more gravitas to the themes or more structurally compact when it comes to narrative and details, the series does also lead more to be desired such as more involved characters (most of the recurring cast seemed like write-ins) or more crafty scenarios. It might not be as emotionally gripping as Death Parade or pushing the limits of lateral thinking like The Perfect Insider, but doesn’t need to be and its own way, satisfactory for the scope. Although…my fingers are crossed that 2016 brings better tidings for the genre. Pros: Sakurako’s personality/character, soundtrack, visual artistic choices, central theme around most of the scenarios, most scenarios are very concise and clever when it comes to the writing. Cons: Scenarios lack variation and too convoluted in reasoning, supporting characters feel underutilized. Sakurako was my dark horse pick-up from the Fall 2015 selection, and towards the end of that season I found myself favoring Sakurako over the more resounding Subete ga F ni Naru. Now, while The Perfect Insider bordered on brilliant absurdity, it at times tipped the scales more towards absurd than it was brilliant. Sakurako on the other hand was a very grounded attempt at mystery, much akin to mystery Renzoku type live action – a formula which I’ve grown to appreciate over the years. The beauty of the Sakurako laid not in the intricacy of its arcs, but with its stellar delivery.